The moment of truth, it's the only golf truth that matters. In the Advanced Ball Striking Class we start right from impact. Without the proper motor skills to deal with the forces of impact, nothing else matters or works. The golf swing is a short journey from address to finish. Developing a true intent finish...a purposeful arrival place for each golf swing is paramount. We absolutely have to know where we are going to finish our swing with complete conviction. Once established, discussions on arrival options begin. By establishing our final destination, and proper moving impact dynamics, we will learn to properly execute: The Seven Subsets of Motion. The Seven Subsets of Motion are much like musical chords that are first mastered independently, then logically sequenced into a variety of harmonic arrangements. In our case, golf shots. The course works the student through a series of "core" swing modules, with text, video, and online support to assure the student progresses as quickly and efficiently as possible. There are in many ways "secrets" in the game of golf, but like the lost city of Atlantis, just finding them, does not mean it will be easy to unearth them. You still have to do some digging. 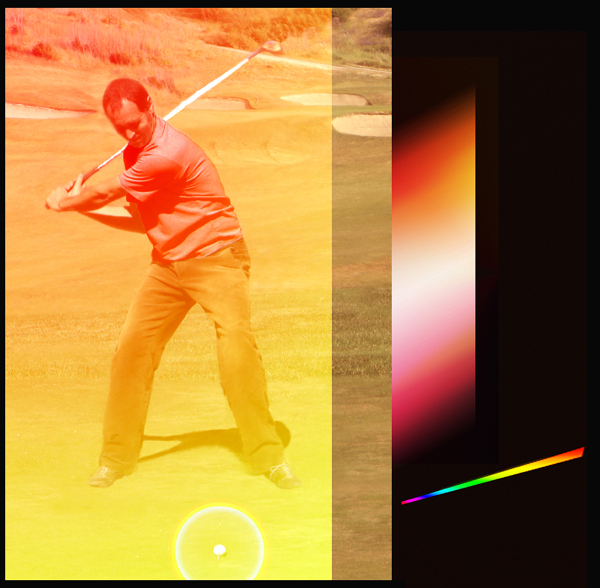 You'll be given a quick lesson in golf swing physics. By understanding how to put the law on your side, you'll not only be able to apply the law, but you'll actually learn to feel law correctly within your own body. Here lies the power and magic of golf. Each body station has its role in the seven subsets of motion. As we train our body, we put special awareness upon each body station and learn with great discipline the proper movements and intentions to create a oneness and harmony in our golf swing. Once we understand and learn to apply the laws of physics through our seven subsets of motion, we will properly feel the club. Proper rhythm is the by-product of feeling the club the correct way. We will each have our own unique rhythm. There is no better training device than a golf club. Our hands and body need the club to feel the correct motions and actions. Golf is a high velocity impact sport, and our energies need a place to resolve. We use only a golf club and a punching or impact bag. Getting your equipment right is imperative. I'll show you how to take control of the situation the next time you're looking for gear. You won't be asking anyone for fitting advice. You'll be taking command of the situation and demanding you get exactly what you need. Once the golf swing is established with the correct tools in our hands, we'll learn to simply test the functionality and repeatability with three simple methods. Learning to aim properly at our target is vital. Golf is a target game. To master the game, we must master our targeting skills. To do this, we must understand proper low point alignment geometry. No matter how good our golf swing is, if we don't aim at the target, we won't hit our target often. Golf is a lot more fun when you're humbling the course rather than the course humbling you. "Old man par" can be a tough competitor, especially when the course has been designed by a great architect. You'll enjoy your match against the course designer, the weather and the daily pin placements once the ball becomes your friend. Backed up by sound science and physics, you'll love playing golf as an artistic practitioner, rather than a frustrated participant. By learning to shape the golf ball in the air, we can increase our artistic pallet of shotmaking with advanced ball controlling techniques. Adding to our arsenal of shots will further help us in hitting more fairways and greens. Just shaping our shot into the green properly can make the difference between par, birdie or better. Like any learned motor skills, you'll get an understanding as to what to expect regarding your own personal progress. By understanding the learning process, identifying your personality type, and work ethic, you'll find the process of improving your golf swing to be an exciting and enjoyable experience.